Note: The beets and cucumbers tasted very sweet and complimented the onion, dill crust and cheeses very well. Dill crust is one of my favorite crust variations. 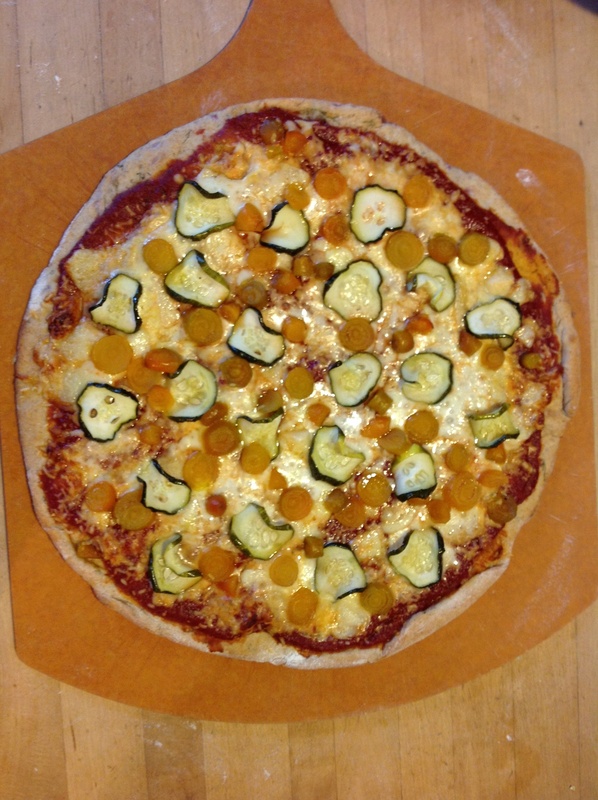 This entry was posted in beets, cheese, cucumber, dill, herbs, mozzarella, Parmesan, pizza, pizza sauce, sauce, Seasonal, Summer Recipe, vegetarian, veggie and tagged beets, dill dough, mozzarella cheese, pickled cucumbers, pizza. Bookmark the permalink.